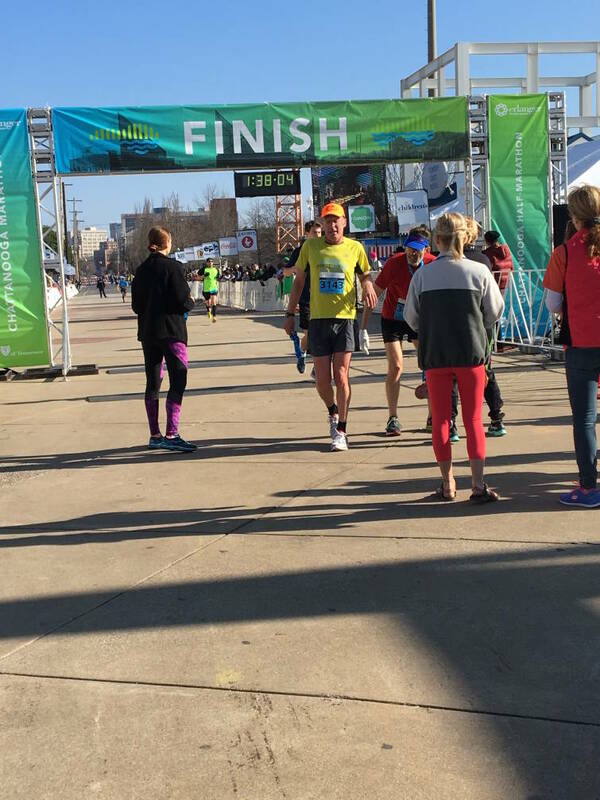 A 35-year-old local man took top honors in the inaugural Erlanger Chattanooga Marathon. Bob Adams of Ooltewah finished the race in just over two hours and 30 minutes in his first road marathon since running the 2014 Boston Marathon. Current and former University of Tennessee at Chattanooga runners took the top spots in Sunday's Erlanger Chattanooga half Marathon. UTC senior Paul Stuart finished first, followed by his former teammates, John Gilpin of Nashville and Lucas Cotter of Signal Mountain who have both graduated from UTC in the last two years. Leah Thomas, a 1999 UTC graduate, took top honors in the women's half marathon. Her former UTC cross country teammate, Amanda Tate, placed second.